We recall our experience of the Glimpses of Goa tour, one of our most popular and rewarding tours and excursions in Goa. At the beginning of April I was able to spend a week exploring Goa, visiting a number of our properties, dining at our recommended restaurants and walking along some of the state's most alluring beaches. In addition to this, I was fortunate enough to have the opportunity to experience one of our Tours and Excursions. 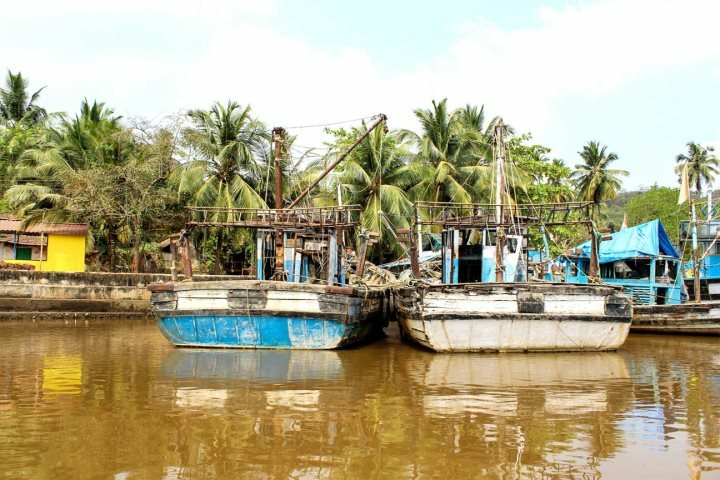 Our Tours and Excursions at The Goa Experience provide a great avenue in which to learn more about the history, culture and identity of Goa, and it is well worth spending a day or two away from the sand to experience another side of the state. The tour I was going on is our most popular, The Glimpses of Goa tour. 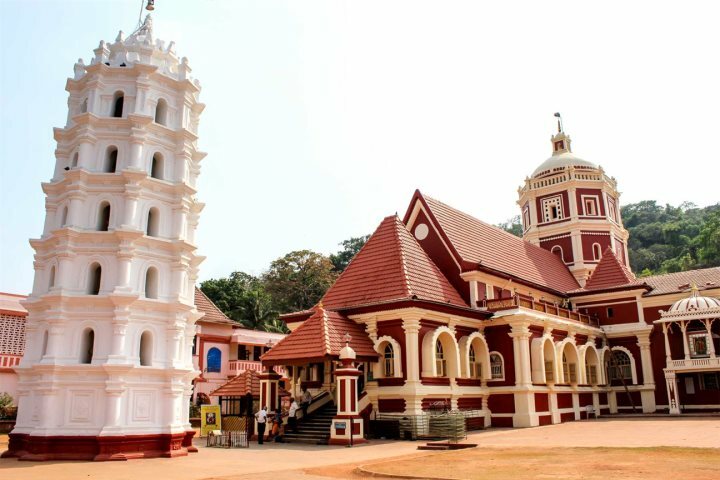 This particular excursion allows holidaymakers to discover the history, heritage and character of Goa via a full-day trip which includes visits to UNESCO World Heritage Sites, areas of natural beauty and an aromatic spice plantation. This was my experience of the Glimpses of Goa tour. The tour began with a 9.30am collection from our hotel and an hour-long drive through Central Goa, just to the north of the state capital Panjim. 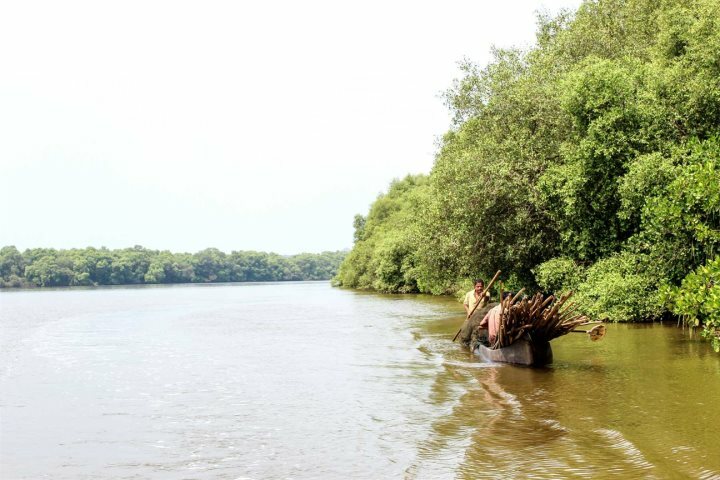 Across the Mandovi River lies the Dr Salim Ali Bird Sanctuary, comprising a series of mangrove swamps and home to numerous local and migratory birds. We reached the sanctuary via a quirky river crossing, and five minutes later we were settling down in a canoe for an hour-long trip along the water to seek out interesting bird species and even the odd salt water crocodile. 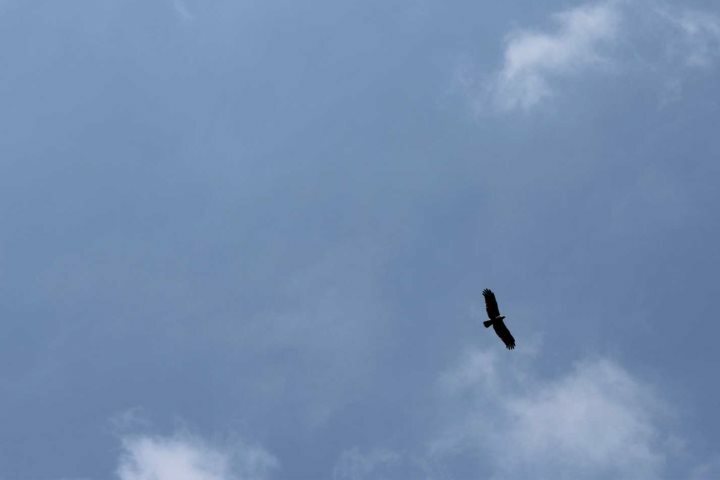 The diversity of the birdlife was fantastic, from the little herons scampering along the mud and the blue of the kingfishers darting along the water's edge, to the large cormorants basking in the sun and the imposing brahminy kites overhead. In addition to the winged inhabitants, we were also lucky enough to spot a saltwater crocodile, all whilst being described the sanctuary's flora, fauna and history by our informative guide and canoe driver. Next up was a short drive into the centre of Goa's capital, Panjim. The city is an intriguing mixture of colonial architecture, Latin neighbourhoods and bustling shops and markets. 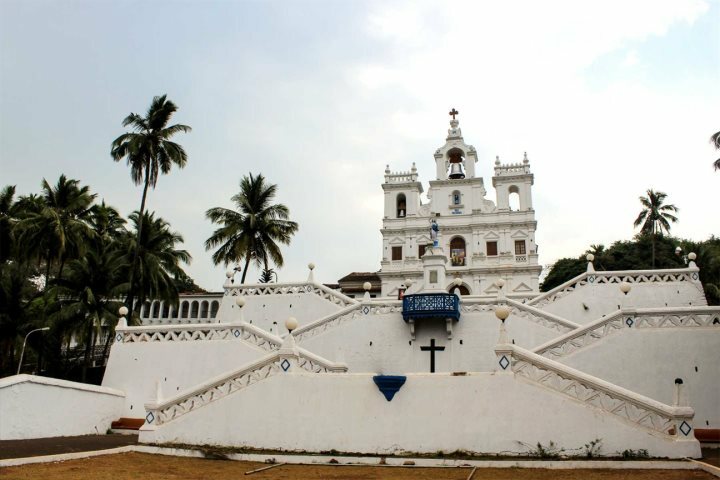 The most prized feature of the city is found in the beauty and grandeur of the Immaculate Conception Church in old Panjim, towering above the surrounding city and displaying an impression of the Baroque architecture typical of colonial Portuguese Goa. The city was very pleasant to walk around, with a friendly atmosphere combining with the likes of inviting eateries and eye-catching architecture. But our next stop was to be even more memorable, with Old Goa awaiting us just a short drive to the east of the centre of Panjim. In the 16th century Old Goa was referred to as the 'Rome of the East' and was considered the grandest and most affluent city in the whole of Asia. 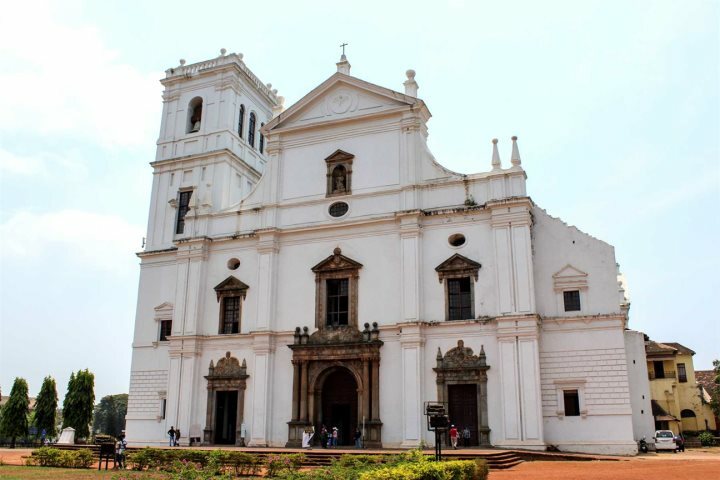 Today, what remains of the city is a designated UNESCO World Heritage Site, and its majesty remains in the churches and architectural marvels that Old Goa has left behind. We began our exploration of Old Goa at the Basilica of Bom Jesus which we admired from outside and in, absorbing one of the best examples of Baroque architecture in India. We strolled around an old cemetery and visited the city's Saint Anne's Chapel, before entering the imposing Se Cathedral, the largest church in Asia. 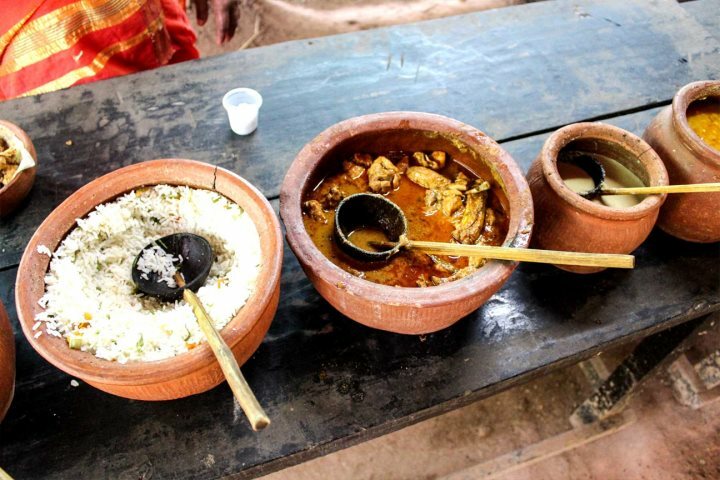 Our culture and history fix in the sunshine had made us hungry and thirsty, which was just as well, because the next stop of our tour was our lunch stop, at Sahakari Spice Farm. We received a warm welcome before sitting in the shade and being served home-grown cashews and home-brewed 'feni', a cashew spirit which was incredibly strong but pretty tasty. Next came the food, row upon row of Goan curries and snacks, enough to feed an armada. The best without a doubt was the chicken xacuti, a traditional Goan dish which flavoured much of my stay in the state. After eating ourselves on the brink of a food coma, we then embarked on a 40-minute walking tour of the plantation. The variety of plants, trees, fruits, vegetables, herbs and spices grown at Sahakari Spice Farm is incredible. 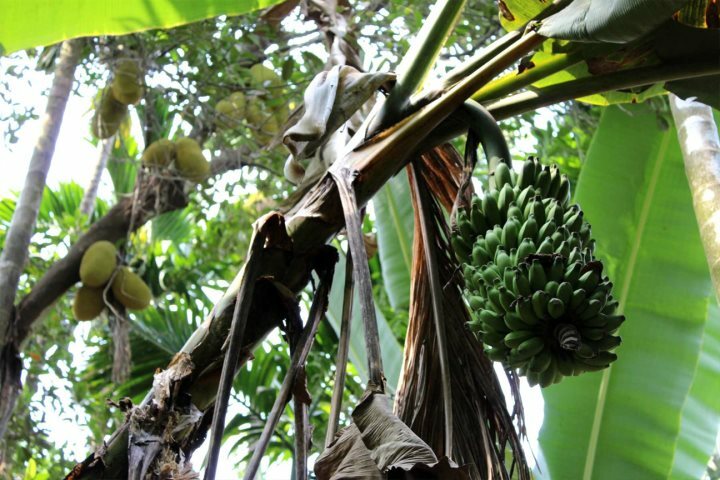 We encountered all kinds of tropical flora, from cocoa trees and banana trees to pineapple plants and cashew trees. The bright colours were matched by the striking aromas, and it was certainly a good distraction from the discomfort of the full bellies we were all nursing. After a short peruse around the gift shop where I reluctantly turned down the chance to buy a litre of feni, we were driven into the centre of the town of Ponda, the geographical heart of Goa, home to countless grand and eye-catching temples. This is where numerous vibrant and memorable Hindu celebrations take place, and today we would be visiting one of Goa's most beautiful Hindu temples. The Shantadurga Temple is wonderfully decorated, boasting authentic and attractive architecture which flourishes in a peaceful environment. We were able to enter the temple and watch Hindus as they prayed. It was a memorable experience and a great way to bring an end to our Glimpses of Goa tour. The Glimpses of Goa tour was a fantastic way of seeing some of the significant sites and locations in Goa away from the beach. While you'd be forgiven for spending the majority of your Goa holiday relaxing on the sand, it is essential to spend a day or two exploring the cultural and historical identity of Goa; it is truly fascinating.